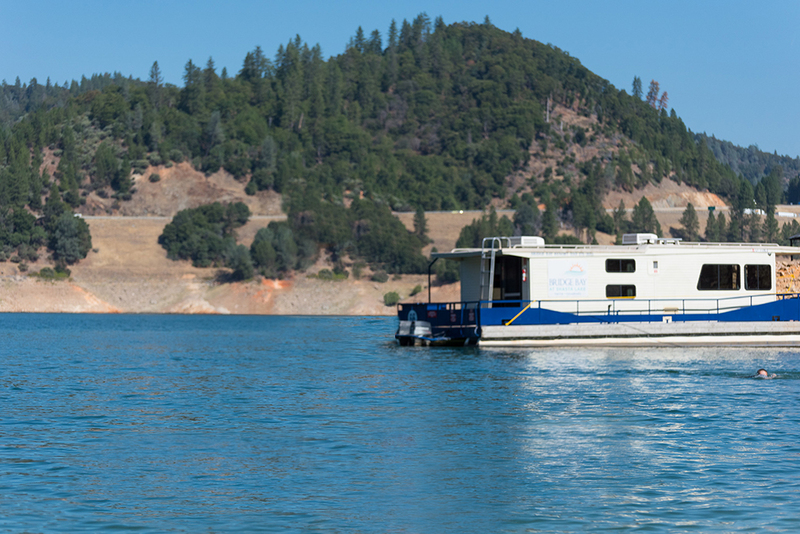 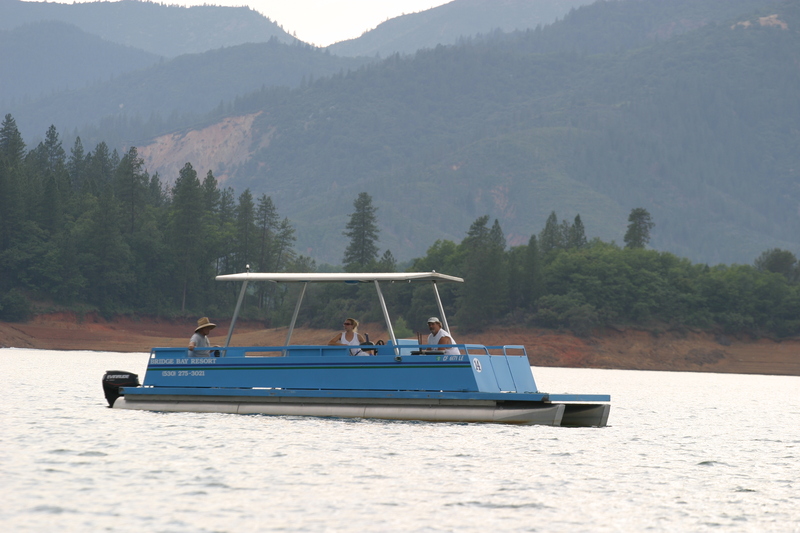 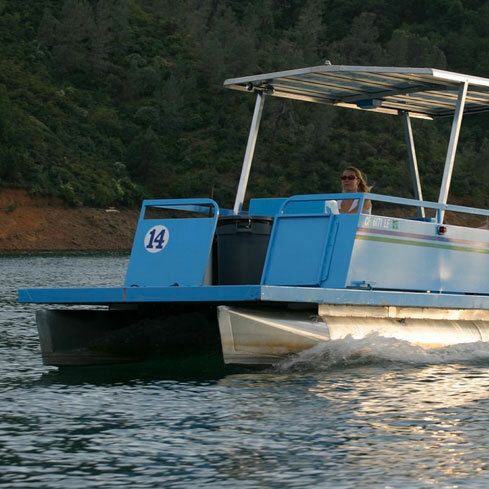 Perfect for cruising the lake--pack a lunch and you’re ready to swim, fish, relax, and take in the incredible views of Shasta Lake. 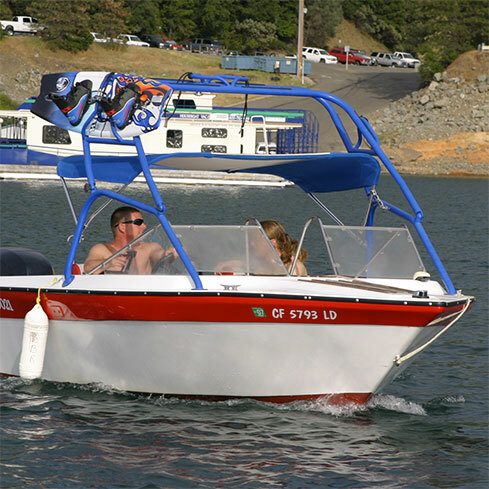 To reserve a patio boat, click the “Book Now” button at the top of the page. 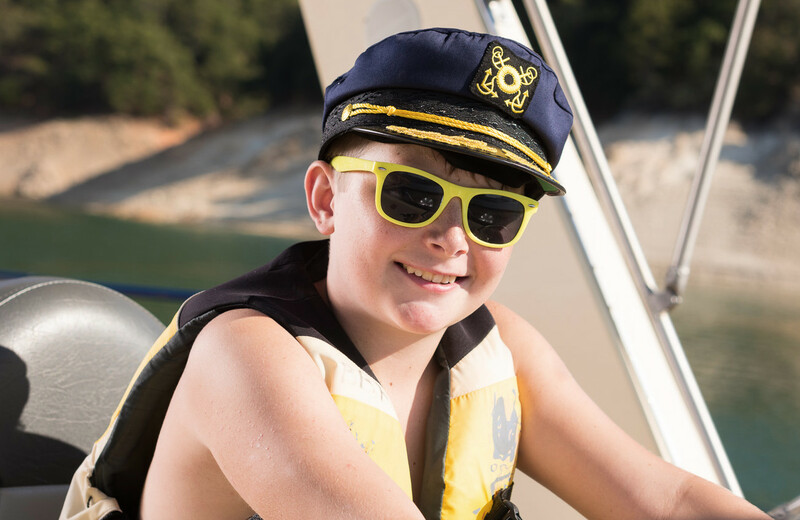 Or, to speak with our crew, call 1.800.PLAY.NOW and we will answer all of your questions and take your reservation on the phone.